Wash & Soak lapsi in water for 2 hrs. Wash & Soak urad dal and methidana together for 2 hrs. Grind urad dal and methi dana same like idli batter.Make very Pluffy and smooth paste. Ferment for about 5 hrs. Add this batter to lapsi. Add salt and mix well. Heat ghee & Temper mustard then pepper,jeera,ginger,green chilli,curry leaves and hing. Add this to the lapsi.mix alltogether. 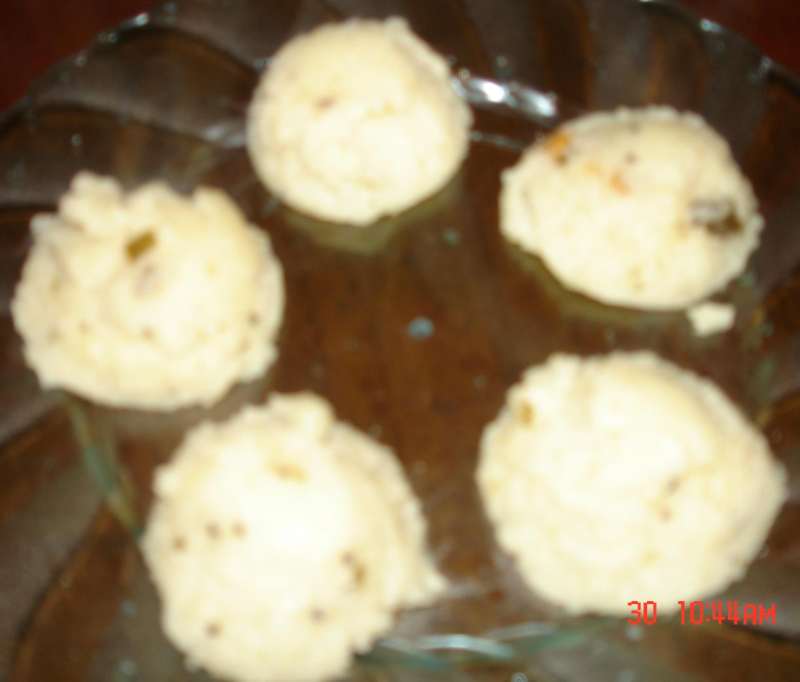 Grease oil on the idli mould and pour 3/4th batter. Note: If u want slightly katta taste,please soak 2 tbsp of curd in lapsi.